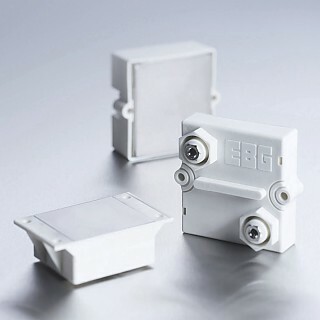 EBG produce a wide range of different non-inductive ultra-high-power resistors. For small designs, we offer resistors with power levels ranging from 350 W to 2,000 W that can be mounted directly onto heat sinks. They feature outstanding dielectric properties and partial discharge. Alternatively, we produce directly cooled high-power resistors from 500 W to 1,700 W and resistors with cable connections for flexible assembly, eliminating problems related to clearance and creepage distances. - To replace UXP®-300 resistor. 350 W resistors. Easy mounting on heat sink. - 600 W resistor. Easy mounting on heat sink. - 800 W resistor. Easy mounting on heat sink. - 2,000 W resistor at 125°C bottom case. - 400 W resistor. Easy mounting on heat sink. - 600 W resistor. 6 different layouts available. Easy mounting on heat sink. - 800 W resistor. 6 different layouts available. Easy mounting on heat sink. - 400 W resistor. High pulse load resistor. - 600 W resistor. Very low component height. 6 different layouts available. - 800 W resistor. Very low component height. 6 different layouts available. - High-Power water-cooled single resistors up to 1,700 W.